Christopher Alexander says, "Each pattern describes a problem which occurs over and over again in our environment, and then describes the core of the solution to that problem, in such a way that you can use this solution a million times over, without ever doing it the same way twice". Even though Alexander was talking about patterns in buildings and towns, what he says is true about object-oriented design patterns. Our solutions are expressed in terms of objects and interfaces instead of walls and doors, but at the core of both kinds of patterns is a solution to a problem in a context. Design patterns vary in their granularity and level of abstraction. Because there are many design patterns, we need a way to organize them. Patterns can have either Creation, Structural, or Behavioral purpose. 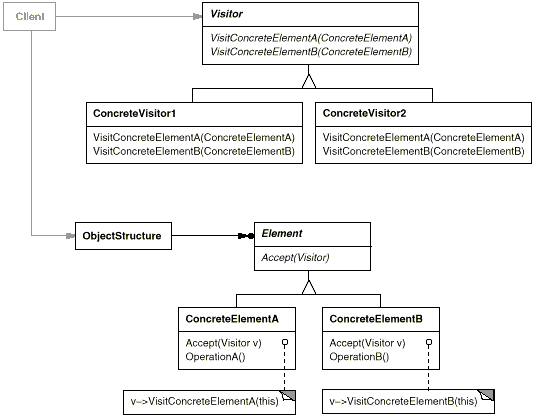 Creational design patterns abstract the instantiation process. They help make a system independent of how its objects are created, composed and represented. 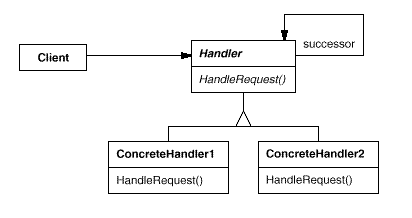 Structural patterns are concerned with how classes and objects are composed to form larger structures.Structural class patterns use inheritance to compose interfaces or implementations. 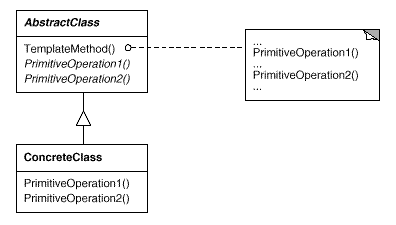 Composite and Decorator have similar structure diagrams, reflecting the fact that both rely on recursive composition to organize an open-ended number of objects. The similarity ends at recursive composition, again because of differing intents. Decorator is designed to let you add responsibilities to objects without subclassing. It avoids the explosion of subclasses that can arise from trying to cover every combination of responsibilities statically. Composite focuses on structuring classes so that many related objects can be treated uniformly, and multiple objects can be treated as one. 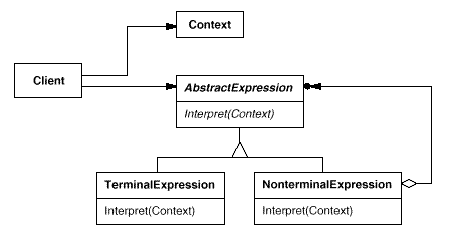 In the Proxy pattern, the subject defines the key functionality, and the proxy provides (or refuses) access to it. In Decorator, the component provides only part of the functionality, and one or more decorators furnish the rest. Behavioural patterns are concerned with algorithms and the assignment of responsibilities between objects. These patterns characterize complex control flow that's difficult to follow at run-time. They shift your focus away from flow of control to let you concentrate just on the way objects are interconnected. Encapsulate a request as an object, thereby letting you parameterize clients with different requests, queue or log requests, and support undo-able operations. 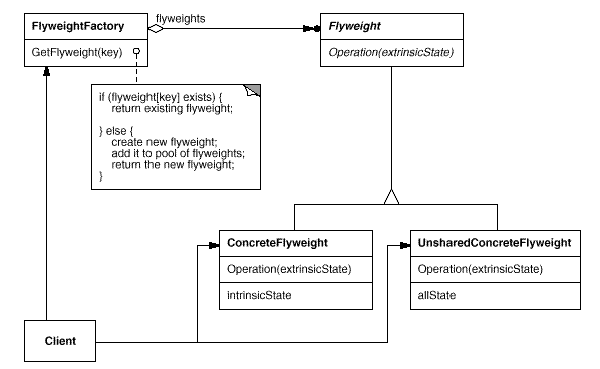 Provide a way to access the elements of an aggregate objects equentially without exposing its underlying representation. Allow an object to alter its behavior when it’s internal state changes. The object will appear to change its class.